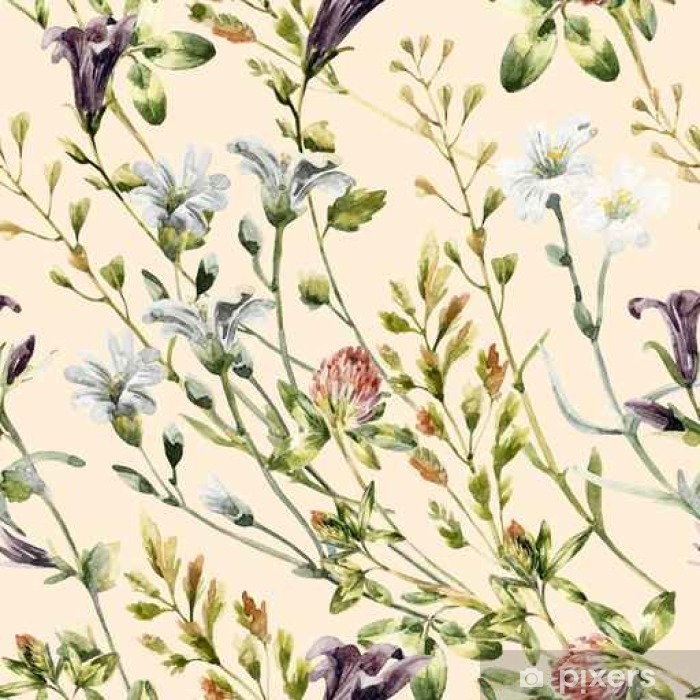 Watercolor wild flowers seamless pattern. Which material is the most water resistant? The Washable Wall Murals are the most water resistant. Their surfaces are laminated to be moisture and stain resistant. They can be cleaned with a wet cloth. Do your wall mural materials have a glossy or matte finish? All our wall mural materials have a matte finish. What surfaces can your wall murals be applied to? In the case of larger prints it is worth ordering a wall mural with an extra surface, e.g. 2 cm on each side. Walls are not always perfectly equal, and measurements may sometimes be inaccurate – which is frequently true in the case of large surfaces. It is better to have some excess material which can be cut to size rather than to get a print that is too small.